Quality. First Time, Every Time. 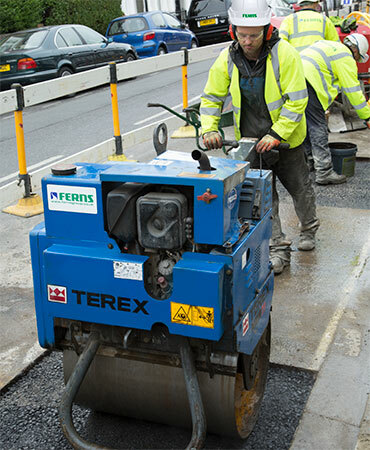 capability to provide a wide range of backfill and construction base materials to fast turnaround timescales for the Utility and Construction industries. As a service provider we are always striving to continually excel in quality, service, and safety whilst protecting the environment and measuring our performance against best in class indicators. 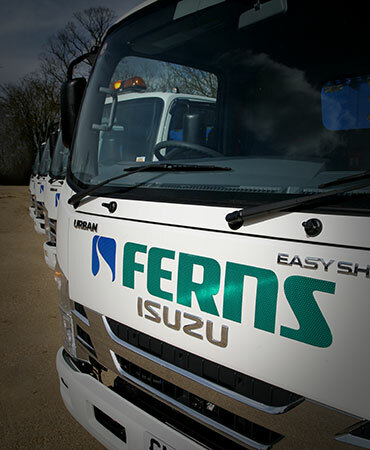 Ferns are a market leader that provides tailored reinstatement services to major clients, mainly in the Gas, Water and Power Networks Utility Sectors. Our growth is built upon our reputation for reliable operational performance, safety, customer service, technological innovation and the ability to form trusting and collaborative working relationships with our customers’ and their supply chains. With our Aggregates and Recycling facilities we have the capability to provide a wide range of backfill and construction base materials to fast turnaround timescales for the Utility and Construction industries. 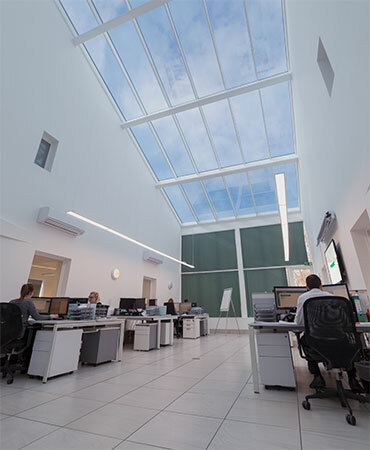 As a service provider we are always striving to continually excel in quality, service, and safety whilst protecting the environment and measuring our performance against best in class indicators. We have operational coverage in London, the South East and East Anglia. We are able to mobilise for new contracts within a very short time period. We have developed our own bespoke In–House Work Scheduling System “On–Site”, which allows us to monitor all aspects of the job in real time. Our Customers are informed of what is happening at every stage of the job and can contact us 24/7 365 days of the year by Email or by Phone. Our fleet is constantly growing & updating. We embrace the newest technologies from the most reputable sources, ensuring they are all safe & reliable. We believe in the principle; Be Safe and Be Sure and have a strong reputation for Safety, Quality, Service Delivery and Customer Care. We encourage regular visits from the environment agencies so we can make sure that we are always up to date with the latest standards and regulations. The Castle and Home Park are maintained to a very high standard and with the help of your team and the noticeable pride taken by each individual in delivering their workmanship, these standards have been maintained. I am extremely happy with the end result and I appreciate the effort and hours you and your team have put in to rectify the issue at very short notice. Ferns have worked very hard to complete all reinstatement requested by Triio , this has played a major part in completing the Gas Works at this location within a certain time scale. The Company accepts its legal responsibilities under the Health and Safety at Work Act 1974 and associated legislation and Codes of Practice. This Policy Statement recognises our Company’s need to operate the business in a manner which reflects good environmental management. We operate a Quality Management System complies which enables us to offer our Clients a proven level of high end Quality Assurance. We are committed to the equal treatment of all employees & applicants and prides itself on having a diverse team. The Management of our Company always operates responsibly, ethically and with integrity in its interactions with all of its stakeholders. The purpose of this policy is to set out the rules that must be followed in this organisation to ensure that no bribery occurs. Our vision is to be recognised as a leading Reinstatement company, committed to protecting and enhancing local and global environments. Please click on the icons below to see our operating centres contact details.